My son came home from college this weekend complaining about his British Literature class. His teacher had been assigning several hundred pages of reading each class, and he was having a hard time keeping up. However, he was especially furious about the quiz she gave over the reading the next class. I looked at his father and sighed. Sadly, this wasn’t new. Years ago, before we ever considered homeschooling, we had children who loved to read. They devoured books like they were chocolate. But, then I began to notice a change in them. Reading for fun became reading for comprehension. I know those sound like two things which should work together for good. But, sadly, it brought my kids to the brink of tears on a nightly basis. You see, reading had become just another assignment. 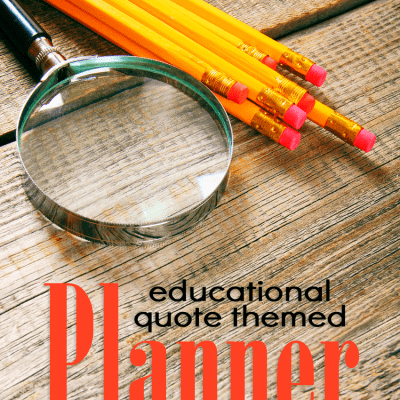 An assignment that was graded for comprehension based on what the teacher or the testing program deemed was the essential part of the story – like the year, or the location, or what the author’s name was, or even what was on the wall. Though sometimes those are important details, they are not always what might grab you and pull you into a story. It took some time, but I finally realized that reading assignments had destroyed my children’s love of reading. When we decided to start homeschooling, I knew I had to immediately do something to change the way my children felt about reading. I began thinking of ways I could inspire them to love reading again. That’s when I started book clubs for my kids. How can book clubs inspire your kids to read? I started coming up with many different ideas to try to change my children’s way of thinking about reading. They were once readers who had once enjoyed going on adventures in their imagination. I just needed to get them excited about reading again. Along the way, I discovered five ways book clubs could inspire a new love of reading in my kids. 1. Book clubs can inspire your kids to read by adding a “party school” atmosphere. The easiest way to get kids on board with anything you do is to add snacks. You get double points if you decorate and throw in some hands-on fun. I combined all three of those into one big homeschool party. At the end of each month, we have huge parties to celebrate the book we have just finished reading. The kids know this is coming and it builds excitement throughout the month. 2. Book clubs can inspire your kids to read by adding socialization. It didn’t take me long to realize that social interaction with other children, plus the added benefit of treats could open us up to a whole new area of education. We began to invite our friends to meet us for book club each month. When we started, we had one book club for my middle school daughter. Now we have four book clubs of different age groups. Adding friends to our activities made my kids want to read the book because they knew that we would have a party with their friends at the end. I began thinking of ways I could inspire my kids to delve into different types of literature without making it into “another assignment.” So, I took the “assignment” out of “reading assignment.” Now, this doesn’t mean that I stopped asking them to read. What I stopped doing was asking comprehension questions, requiring written reports or even oral narration. Instead, I asked them to read the book for a set amount of time. I didn’t try to overdo it. Just a short amount of time each day for reading. I didn’t quiz them on it. However, I still wanted to make sure they were comprehending what they were reading so I would ask simple questions like “Do you like the new book?” or “Is this book interesting?” Whether my kids love or hate the book, I get the response I’m looking for, and often I hear a good bit about why they love or hate the story. When we start book clubs, that’s how our discussions begin. “Did you like the book?” To my amazement, I get lots of answers. Sometimes they love it. Sometimes they hate it. And, sometimes they just don’t get it. But, it starts the ball rolling, and we can talk about the book in more detail. 4. Book clubs can inspire your kids to read by adding “rabbit trails” of discovery. Just like I don’t like to ask “reading comprehension” questions, I also don’t like to ask the same old questions about grammar, poetic license, and the author’s meaning at book club. We go on rabbit trails. We hop off the traditional roads of literature and meander down paths about pop-culture, history, biographies, poetry, music and more -whatever I find along the way that I think may be interesting. And, we take deep dives into some of the subjects touched on in the book that aren’t the main storyline. I also like to bring literature to life by sprinkling a bit of magic dust along the way. These are hands-on projects that take us into the book. We touch, see, feel, and learn like the characters in the book. Did the character eat soup? We might make soup. Did the character build a garden? We might build a terrarium. I try to bring the book into our home and book club and make it tangible. When I started book clubs, I thought I might encourage my kids to dig deeper into the novels they read. But what I discovered is that these book clubs not only inspired my own children to a new love of reading, but they also inspired our friends. They broadened their minds with new adventures. 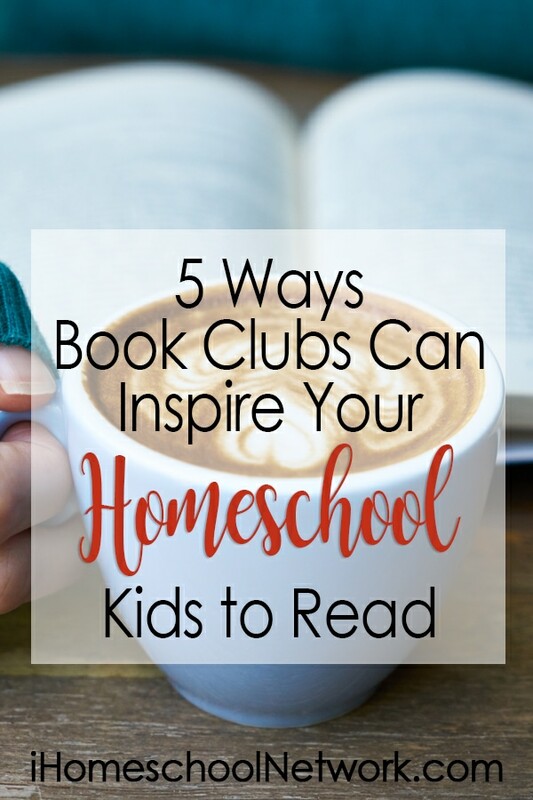 Book clubs are now a staple of our homeschool. I plan for weeks for each book club. There is no such thing as too much fun or anything too elaborate for book club. I read the books along with the children and look for ways we can dig deeper. I listen to what they find exciting about their reading and find rabbit trails we can follow. I nurture their thoughts and ideas and help them see more than what is in their own world – to look outside of themselves and experience new worlds and new ideas. Over the years, I have been asked to help other moms who are busy with children, home, and schooling create their own book clubs. Often, these families don’t have the privilege of meeting with other families to experience book clubs, but they still want their children to dig deeper and be inspired by literature. And sometimes, they are so overwhelmed with teaching other subjects that they don’t have time to plan their own literature study. So, I created online book clubs. These online book clubs encourage the student to dig deeper and think big thoughts. In every online book club, we go on rabbit trails of discovery. We take deep dives and broaden our minds with new adventures. We also bring literature to life by sprinkling a bit of magic dust along the way. All of this is in an online format that makes it easy for the kids and the parents to follow. My desire has always been to inspire a new generation of readers, and I’m hoping these online book clubs will do just that. For iHN readers, I am offering a special coupon. This coupon is good for 20% off any online book club. Just use the code iHNREADERS and click the picture below.